Why is my baby so fussy all the time? Why does my toddler fight sleep so much? Why do other parents seem so happy and confident, while I'm just barely getting by? Why can't my baby just be HAPPY?? Is it my fault that I have such a needy, demanding child? Why is everything from sleep, to soothing, to discipline such a struggle for us? My second child came out screaming, and wouldn’t stop. He slept in 45-minute bursts, had troubles feeding, and cried and screamed the entire time he was awake (which was most of the time). I had heard of colic, but I had no idea babies could be THIS fussy. Saying we were exhausted, overwhelmed and frustrated would be an understatement. Our lives became about survival at that point, just trying to get through each day in one piece. Gradually, his fussiness improved, and he started having moments of contentedness. However, it became clear to us that he was never going to be an “easy” baby. It seemed like everyone around us was loving parenthood; and yet here we were, hanging on by a thread. Did everyone else have it all together? What were we doing wrong? Why was our child SO incredibly fussy? Would life ever get easier? I bet you’ve had some of these same thoughts. It took me many months (and years, in some cases) to be able to answer these questions. In the meantime, I struggled with knowing how I was supposed to parent this extra-sensitive, super-intense little guy. I’ve been running The Fussy Baby Site since 2007, when Sammy was just 5 months old. In that time, I’ve written countless blog posts (both on this site and for Huffington Post), have met or interviewed most of the leading experts in the field, and have walked alongside thousands of parents of fussy and high need kids in our private support groups (with most than 30,000 members at last count). All this to say: I know what you’re going through! 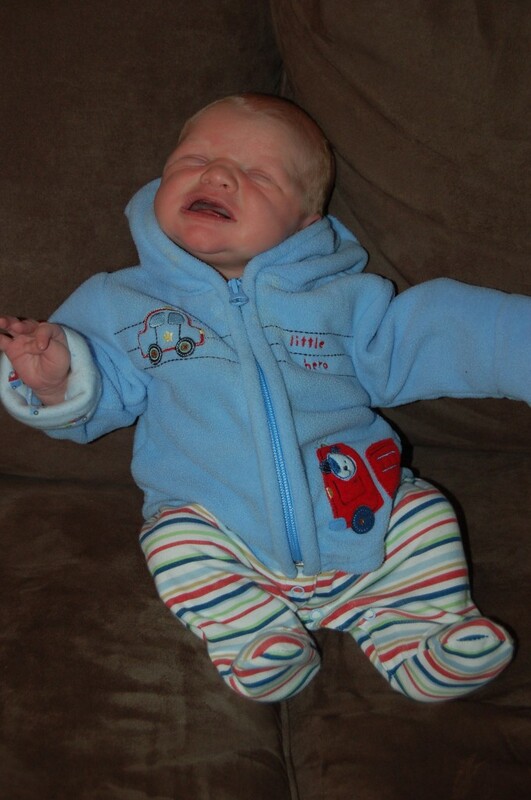 A fussy or colicky newborn: Maybe you have a newborn whose been diagnosed with colic, and who is wearing you down! Your baby may have periods of calm during the day, but most likely has moments (hours!) of unexplained crying and screaming. You worry that there might be something else wrong with him, and would give ANYTHING to know how to soothe him. A “high need” baby: Maybe you have an older baby who has outgrown the colic (or who never had it in the first place), but who is still really fussy much of the time. Maybe she still wakes up frequently at night, needs tons of distraction and holding all day long, and just generally seems to be unhappy with life. A “spirited” toddler: It could also be that you have a toddler (or even preschooler) who was a fussy baby, and who is still giving you a run for your money. Sleep, tantrums and discipline are likely among your top concerns, and you wonder….will this ever end?? Will my child ever become happy, settled and EASY, or are we destined to deal with this for the rest of our lives? If this sounds familiar, you’ve come to the right place. Because I understand exactly where you’re coming from, I decided to compile all the knowledge, strategies and advice I could think of with regards to fussy, colicky and high need kids (0-5 years old) into one easy-to-read, extremely practical handbook: The Fussy Baby Survival Guide – Practical Strategies For Parenting a Fussy, Colicky or High Need Child. What’s up with this whole “high need” thing? Is that a term someone just made up, or is there research to back it up? What are some proven strategies that ACTUALLY calm and soothe fussy or colicky babies? My toddler has unbelievable tantrums: How should I handle them? I share my personal strategy for bringing a spirited toddler out of a tantrum…a near-impossible feat normally! Why is my child is such a crappy sleeper? Is he destined to poor sleep because he’s so intense? My preschooler is so sensitive (and stubborn! ), and even the smallest things seem to set her off. How do I help her cope? What are the most effective discipline strategies for sensitive or spirited kids? I also share the exact strategy we used to finally bring peace to our home…at least most of the time! "I'm already crying with relief..."
Could my stressful pregnancy of labor have made my child high need? Does type of birth impact how fussy a baby will be? Do high need babies become "bad" toddlers? What are the most effective methods for dealing with tantrums? What are the most effective sleep training methods for high need babies? Holly, I cannot begin to find the words to THANK you for your...book, The Fussy Baby Survival Guide. After reading your book I began to accept her for her and stop comparing her to other babies. Some days are still tough, but I now know I'm not alone. Holly is a high need baby’s parent’s best friend. She “gets” us because she’s been in the trenches as a parent of a high​-need, colicky baby, she’s done the research, and she genuinely cares about high-need babies and their families and spreading awareness so that others don’t have to go through this alone. Holly Klaassen is a pioneer in the high-need baby community. She has created a support network that has helped countless parents, including myself, better understand their babies’ temperament and not feel alone. I highly recommend her book because her compassion, dedication and expertise are incomparable. Reassurance that you didn’t make your baby this way, and that YOU’RE NOT ALONE! 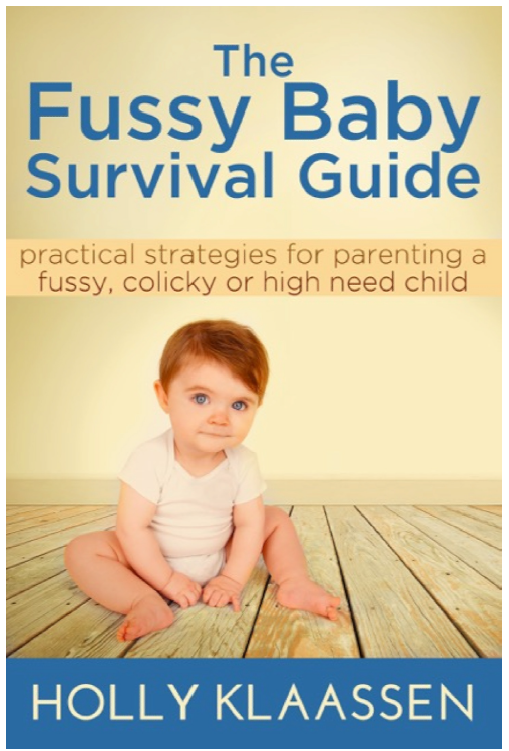 Download Your Copy of THE FUSSY BABY SURVIVAL GUIDE Now! This 112-page guide will cover everything you need to know about your fussy or high need baby or child, ages 0-5. I know you’re probably sleep-deprived, possibly anxious or depressed, and/or at the end of your rope. 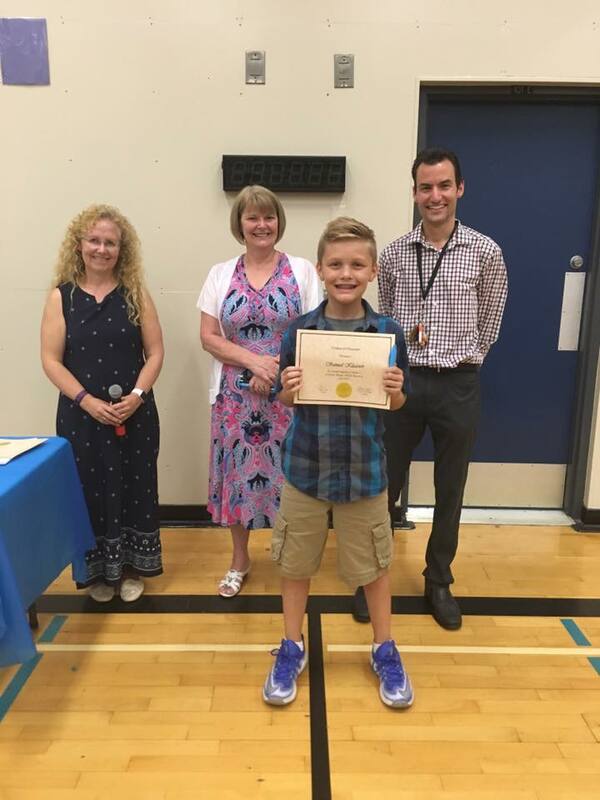 That’s why this handbook is written in easy-to-understand language, and offers tons of practical tips and personal stories from parents who have been exactly where you are today! Buy now for just $12 USD by clicking on one of the links below, and start THRIVING with your fussy baby…not just surviving! "Holly Knows High Need Babies..."
Holly knows high need babies. I have worked with Holly in the field of temperament and she has willingly put many dedicated hours into providing support and public awareness of this topic. I highly recommend her as a source of information and support to any parent struggling with a fussy, high need or spirited child.